Spring is the best time for commercial roof maintenance. Cleaning and repairing a roof twice a year — March and November ideally — will help prevent premature roof failure. Caring for a commercial building roof is more involved than simply cleaning a pitched residential roof. 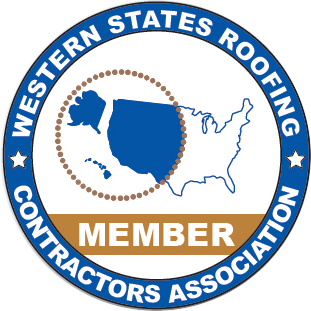 Flat membrane roofs typically require more maintenance than cleaning, although improved technology has transformed the industry for Spokane Roofing Company®. Previously, hot-tar, built-up roofing (BUR) needed a coating of reflective paint to prevent sun damage to the tar. Silvercoating every two years was the industry norm. New single-ply, membrane roofing materials such as TPO, PVC and KEE do not require a periodic coating, resulting in significant cost savings for business owners. Hot tar roofs (also known as hot mop roofs) are still out there but less frequently in the Inland Northwest. We made a huge change in commercial applications about 20 years ago, when we began shifting from using EPDM rubber roofing membranes to using TPO. There are still quite a few older, built-up roofs, but we’re not installing new ones anymore. Built-up roofing is not cost-effective, and liability is a big issue. The tar is flammable and might contain asbestos, thus requiring expensive removal and disposal procedures. EPDM seams are glued together with adhesive versus heat-welded TPO, PVC and KEE seams, which are both stronger and watertight. Manufacturers have increasingly taken a scientific approach to the development of new roofing materials, says Sitton. Both commercial and residential customers are the winners. Prevent big problems later by being proactive now. Call Spokane Roofing Company at (509) 838-8633 and save on a commercial roof maintenance program. Ask about our proactive Roof Asset Management premium roof inspection and lifetime management service. Be Proactive About Your Commercial Roof’s Health.